The Bureau of Magical Things is a children's fantasy drama told through the eyes of a teenage girl called Kyra who uncovers a magical world. 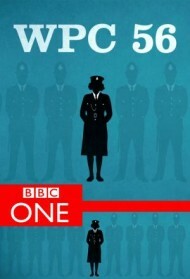 WPC 56 is a drama series which follows the fortunes of police officer Gina Dawson, who faces a dificult battle to create a successful career for herself during the male-dominated world of the 1950s. Season 3, Episode 5 - "Requiem"
Season 3, Episode 4 - "The Wayward Wind"
Season 3, Episode 3 - "From The Shadows"
Season 3, Episode 2 - "Walk the Line"
Season 3, Episode 1 - "A Different Beat"
Season 2, Episode 5 - "The Harder They Fall"
Season 2, Episode 4 - "That Old Devil Called Love"
Season 2, Episode 3 - "Eye Of The Storm"
Season 2, Episode 2 - "Dead Man Dancing"
Season 2, Episode 1 - "Cry Cry Cry"
Season 1, Episode 5 - "Little Boy Lost"
Season 1, Episode 4 - "Nature of the Beast"
Season 1, Episode 3 - "Great Pretenders"
Season 1, Episode 2 - "Memories are Made of This"
Season 1, Episode 1 - "Sink or Swim"